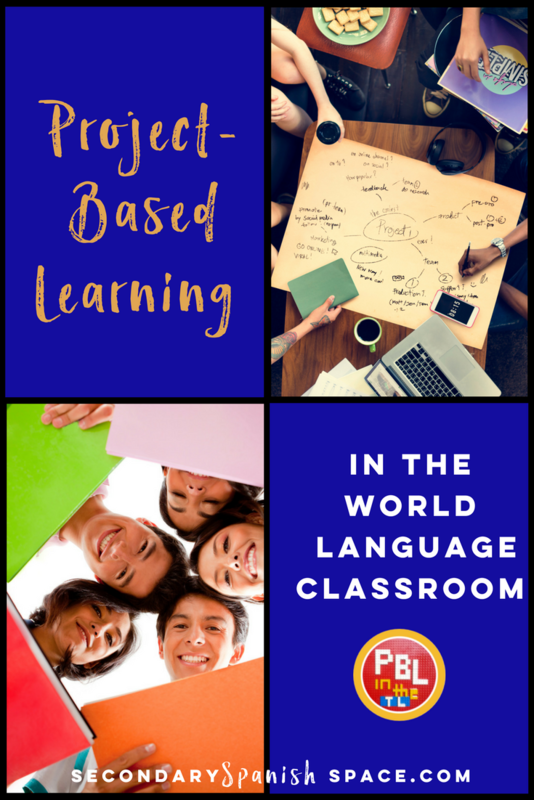 For this guest post, we invited Laura Sexton at PBL in the TL to help us understand what Project-Based Learning is-- and ISN'T-- and what it looks like in the world language classroom. Here's her informative (and fabulous) take on our question! Projects are not Project-Based Learning. Posters and videos and in-class presentations make learning tangible. They can become treasured artifacts of growth. On display, they can even inspire others to learn more. But if they are created as an afterthought, if they are tacked on after the “real” assessment as a sort of treat or distraction--as an intermission from Serious Work--they are not PBL. They are what the Buck Institute for Education (BIE) describes as “dessert” projects. In PBL, though, projects are the main course. Project-Based Learning means the learning takes place through preparation of the final product, through preparation for the final presentation. The presentation part is especially crucial for language classes because there is nothing like an authentic Spanish-speaking audience to make believers of our students. BIE emphasizes eight elements that are essential to a Gold Standard PBL project, which I think can be broken down into three categories for world language instruction: Context, Input, and Output. So much that’s wrong with academics in this day and age is the lack of directed purpose, the lack of meaningful context. BIE recommends Authenticity in the design of a Challenging Problem or Question. That is to say, a project must engage students in a situation that is not manufactured solely to target prescribed verb forms or practice an arbitrary list of words. If they’re really going to use language for something other than passing a test, students need language they’ll actually hear outside of Spanish class. So with PBLL, you set up an authentic problem for them, a problem that is worth solving and requires the target language to complete. So far, my favorite “Challenging Problem or Question” that I’ve used in class so far is “What do visitors to our community need to know to enjoy their time here?” What makes this question authentic for my students is a built-in audience for their Public Product. They create video guides not for their classmates who have lived in the same counties all their lives, but for Sister Cities' exchange students who come to visit each October and actually have to find something to do in our small suburb of Charlotte! But what’s more, the project requires Student Voice & Choice. Students choose where they will focus their attentions, whether it’s popular local restaurants or what to expect from our school dress code when they’re on our campus. The topic is something they already know plenty about, but that their audience doesn’t. AND it’s information they can make understood at the novice level. There is room for debate on what “Key Knowledge, Understanding, and Success Skills” entails in the language class: it may, in fact, include a particular verb tense or specific vocabulary. For example, when my classes join their international (or at least intranational) Flipgrid support groups, they have to have SOME form of past tense under their belts in order to report their progress on their goals (I usually go with perfect tense. However, when you consider the necessity of Sustained Inquiry to creating a Gold Standard PBL unit, two skills you have to consider are reading and listening in the target language. Now “Sustained Inquiry” in a novice PBLL class doesn’t look like it did when you were writing your thesis on Chicano Adolescent Literature in college. In fact, it probably looks more like trolling Google or Pinterest for infographs and tutorials. It might look like using Actively Learn to answer relevant questions about wind and solar energy in a cognate-heavy article that you shared with them on Google Classroom. Maybe it’ll be highlighting up comprehensible articles from El mundo en tus manos before discussing what supplies are still needed in Puerto Rico and Mexico after the disasters. Heck, maybe it’s taking notes on some tourism ads on YouTube before they create their own ads or doing a sorting activity after a TPRS novel chapter or One-Word Image story you guys came up with as a class on a new invention. Because Sustained Inquiry isn’t just about facts for us language teacher types, it’s perfectly legitimate--and necessary--to diverge from the very specific project topic and just interpret and observe the language a bit. Don’t get me wrong, Sustained Inquiry will usually include information necessary for completing products and presentations, but in PBLL it is also hearing and reading comprehensible language until it clicks. Naturally the Public Product comes into play in the Output category as well as Context. I always require some Spanish writing to occur, either IN the final product, or at least in a description or script beforehand. As a teacher of mostly Spanish I and II, though, I consider presentational speaking largely incidental as preparation for the interpersonal. When I’m assessing speaking, first of all, I insist on doing the “test grade” either before or after The Big Day for presentations. 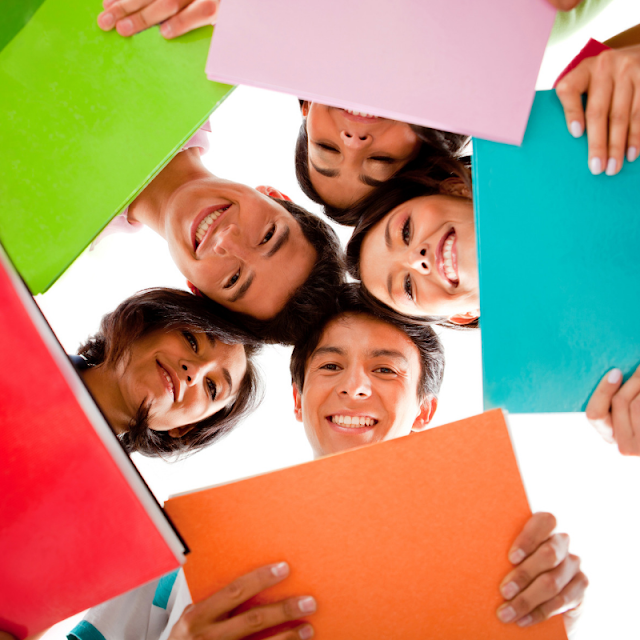 Generally I prefer to do a small group assessment as sort of a confidence builder before getting in front of the Spanish-speaking parents or the Peruvian visitors or Canadian Spanish classes. I am not above using The Big Day as a confidence builder for the assessment, though, if the grade is really more intimidating than the audience for them. But there are two more elements to BIE’s Gold Standard projects that are uniquely beneficial in language classrooms. Reflection AND Critique & Reflection are tasks that do not have to diverge from the Key Knowledge and Success Skills in our classes, because writing and dialogue are also essential to the very purpose of our courses EXISTING! You could give them a word bank of the kinds of problems they’re likely to encounter, and you’ve done two MAJOR things for their Spanish and their lives: you’ve prepped them with some pretty high-frequency vocabulary, but also the vocabulary to talk about their work objectively. The word bank not only helps focus their Spanish, but also their products and presentations. Having them present for one other group from class--and possibly some friendly Spanish-speaking guests--before D-Day allows them to see others’ takes on the project and describe what they see as compared to their own efforts. It adds an extra level of self-awareness to practice reflection and to have the verbiage in their active vocabulary! Afterwards, you might even have them sit down and write a bit. To be honest, I’ve had better success when they got to do a little free writing in ye olde English first (get out the whining and complaining about group members, you know), then condensed their thoughts into basically a plus/delta reflection of their own performance. Dessert projects can still be fun, and learning with a public product in mind is not the only way to learn. 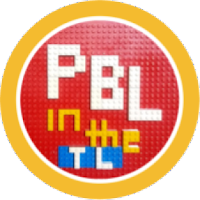 The fact of the matter is that most other types of learning CAN be woven into a solid Project-Based Learning unit, and also you will probably have to test drive some low-octane projects to work your way up to PBL. But if you’re working up to a full course meal, try seasoning with Context, Input, and Output. If you’re looking for some ideas to get started, check out the list of projects I’ve tried—for better or for worse—so far! Laura is a project-based, passion-driven language educator and consultant and has been a Spanglish teacher for over a decade. 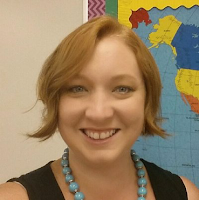 Follow her on Twitter @SraSpanglish or PBLintheTL.com and find more resources on the PBL in the TL store on TeachersPayTeachers. Laura, the link for "check out the projects I've tried" is not working. Would you be able to provide another way to access this? What is your overall timeline for a project such as the one in which students give visitors ideas about what to do? How much work is done in class/outside of class?